Excavating Contractor in Jefferson County Wisconsin! Ensure your construction job is expertly handled from beginning to end with the assistance of our excavating contractor in Jefferson County Wisconsin. At Hausz Bros Inc, we have more than 60 years of experience providing excavating and contracting services. Known for quality work, our excavating contractors are your choice for exceptional residential, commercial, and other heavy construction jobs. Since 1949, our excavating contractors at Hausz Bros Inc have continued to provide a higher quality of work at affordable prices that set us apart from the rest. We pride ourselves on our many excavating services, as well as construction and clearing contracts to guarantee a smooth-sailing project at all times. Contact our family owned and operated company today to request a consultation with our excavating contractors. Hausz Bros Inc provides experienced excavating and contractor work. 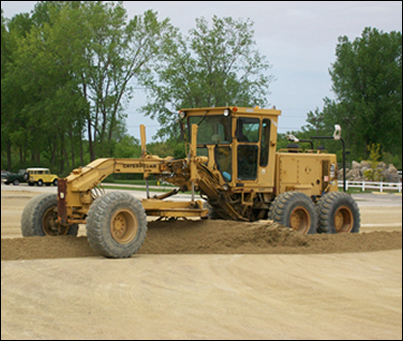 We can help with a wide range of excavating, grading, or land-clearing projects. © Hausz Bros., Inc.. All Rights Reserved.